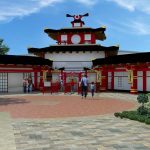 Lego Ninjago World, an enclosed ride that allows guests to battle digital villains with mere hand gestures, will open Jan. 12 at LEGOLAND Florida Resort, park officials announced Friday. 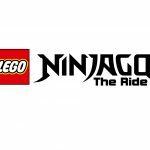 Set on 3 acres at the north end of the park between Lego City and Coastersaurus, the world will include Ninjago The Ride, manufactured by Triotech, a Canada-based company that makes media-based, interactive attractions. 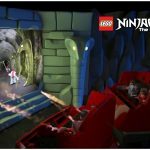 Lego Ninjago World will add an immersive area filled with several hands-on, outdoor activities where kids can sharpen their ninja skills before the ultimate showdown on Lego Ninjago The Ride, a new attraction that blends 3D computer animation, “4D” effects and groundbreaking technology never seen outside of a LEGOLAND theme park. 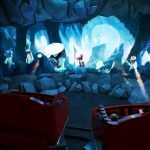 Jones stood near the entrance to Lego Ninjago World, a ride based on a popular line of Lego toys and an animated TV show, “Lego Ninjago: Masters of Spinjitzu.” The ride will occupy a previously unused area between the Boating School and Coastersaurus. 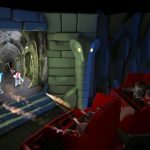 The dark ride will feature Maestro hand-gesture technology, which enables guests to control the game with their hands — and without the need for a hand-held device. The use of hand gestures reflects LEGOLAND’s philosophy of not including guns or other physical weapons in its rides, Jones said. Visitors will ride on cars through a darkened building as video effects play on the walls and contoured screens, which Jones said offer more depth than flat screens. He described the ride as “4D” because it combines three-dimensional displays with wind and fog effects. Riders will be scored and collect points during the four-minute ride. 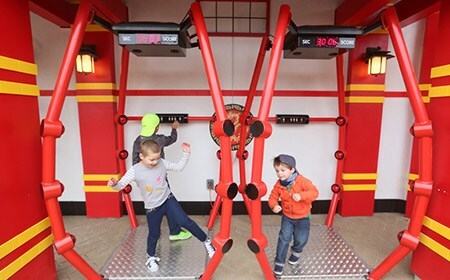 The ride will accept young visitors, though anyone under 48 inches tall must be accompanied by an adult. 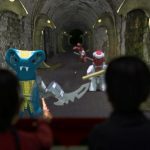 Lego Ninjago World will be a competitive ride, much like a video game, as family members vie to see who can accumulate the most points. 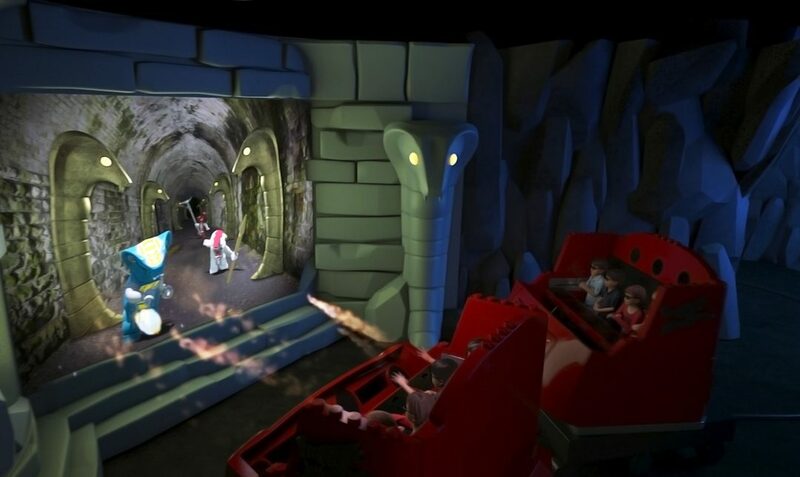 Riders collect points by dispatching villains lurking throughout the ride, ultimately facing The Great Devourer, an enormous snake projected onto a blank wall on the final stretch of the ride. 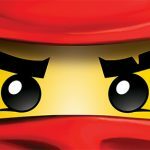 LEGOLAND representatives stressed the competitive aspect of Lego Ninjago World. The “Wall of Heroes,” a digital display near the ride’s exit, will show images of each car’s riders with their scores. A daily leaderboard will also be displayed, giving guests motivation to ride again and improve their scores. 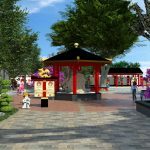 The courtyard will also include a character meet-and-greet with Ninjago character Nya, which will be the first introduction of the costumed character to a LEGOLAND park. Other areas in the courtyard give guests a chance to practice their “ninja” skills. The camp will include a climbing wall, a reaction game, a spinning platform and a “lightning drill” to test reflexes. 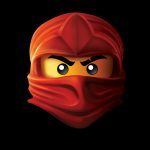 Ninjago World is just one expansion of the park planned to open in 2017. 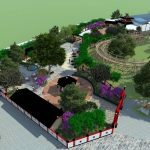 Along with Lego Ninjago World, construction continues on LEGOLAND Beach Retreat, which will more than double the resort’s on-site accommodations when its themed bungalows open in mid-2017. Guests currently can make reservations for stays from June 1-Sept. 4, 2017, with rates starting at $182 per night. A grand opening date and associated festivities will be announced at a later date, along with additional amenities. Since opening, the LEGOLAND Florida park has resulted in nearly $1 billion in economic activity for the area, said Jones, citing research by James Farrell, an associate professor of finance and economics at Florida Southern College. Additionally, the park created 1,600 new jobs for the region and $63 million in state and local tax revenue between 2010 and 2015, according to Farrell’s research.